Mildred Bowers (Shaw) Allison (94) a native of Iredell County passed away January 7th 2018 at the Brian Center of Statesville. 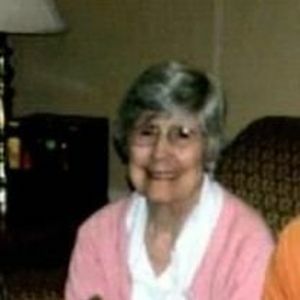 She was born August 22, 1923, the daughter of the late Marvin Wiley and the late Della Mae Bowers Shaw. In addition to her parents she is predeceased by her husband of 53 years John Finning Allison, Sr. two brothers Marvin Howard and Johnny Roosevelt Shaw. She is survived by a son, John Finning Allison, Jr of Statesville. Due to weather conditions, committal services will be held at the Westmoreland Chapel of Bunch-Johnson Funeral Home with Rev. Mack Mathis officiating on Wednesday, January 10th at 11am. A private burial will take place following the service. In lieu of flowers donations may be made to a charity of donor's choice. Bunch-Johnson Funeral home is honored to be serving The Allison Family.